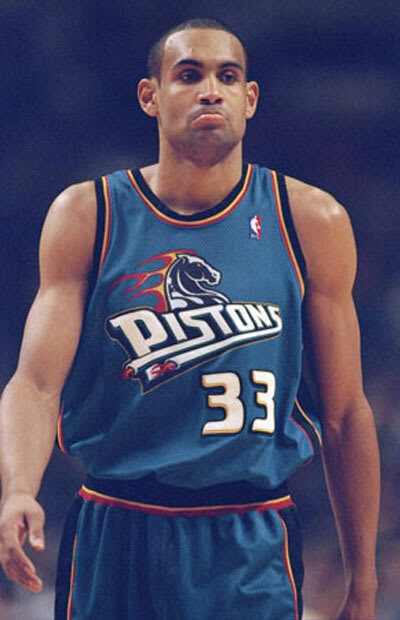 The Pistons were known every bit for their classic red, white and blue colors as they were for their physical style of play during the Bad Boy years in Motown. Then, almost inexplicably, they dramatically changed not only their symbol, but also the colors that had come to define a way to play the game. The result was a seizure inducing set of colors, topped off by a flaming horse of the apocalypse.